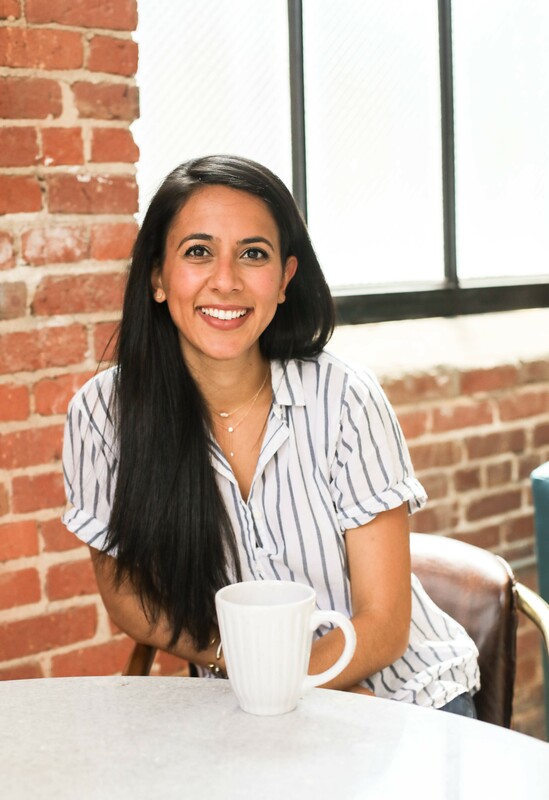 Tallia Deljou is a speaker, career coach, and the cofounder of Mavenly + Co., a content and community platform that supports women in pursuing work they love. From The Epstein School to Woodward Academy, Tallia Deljou went on to American University followed by graduate school at California’s Claremont Graduate University. 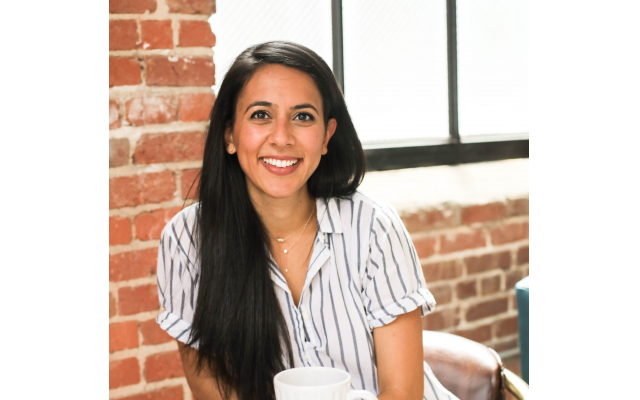 Today, she is a speaker, career coach, and the cofounder of Mavenly + Co., a content and community platform that supports women in pursuing work they love. “I empower women to align with their purpose so they can show up more fully in their work and life, defining success on their own terms.” Her passion is helping women break through limiting beliefs about what is possible, overcome self-doubt, and step into what they truly desire. Deljou’s website highlights and encourages the importance of no longer playing small and realizing that we’re all meant for more. Her soon-to-launch podcast, Sincerely Me, is about self-discovery and inner work, and she offers website visitors a free guide and meditation to overcome fear. Jaffe: The term “coaching” seems overused these days. What makes you different? Deljou: What distinguishes my coaching is that it’s a mix of self-development, mindset, and life design rooted in positive psychology research. The goal of coaching is to feel more in control and intentional about your decisions so that you can thrive and flourish. According to many studies in the field, a flourishing life is rooted in five core components: positive emotion, engagement, relationships, meaning and accomplishment. As such, much of my coaching is rooted in a model that allows you to redesign your work and life in ways that lead to a greater sense of meaning, responsibility, and overall positive impact. Deljou: A maven is someone who seeks to pass knowledge on to others, and that’s exactly what we do with our platform and in coaching itself! We aim to share stories about success from real women to show others what is possible. Jaffe: Women are being coached online? Deljou: Yes! both in person and virtually, one-on-one and in groups. Jaffe: Do you charge as a package or by session? Deljou: I typically work with women in a three-month program; the momentum, accountability, and ongoing relationship is key for achieving results. Jaffe: What are the biggest challenges your clients’ face? Deljou: Most are stuck in a place of doubt and fear – fear of failure, of success, of money (or lack thereof). They get caught up in their thoughts without realizing how much judgment they are living with. Another big challenge is how hard it is for people to dream, speak up for what they want, and take action on their goals. Coaching helps create the plan and motivation to finally move forward. Jaffe: What do people want most in their careers? Deljou: Financial freedom, flexibility of time, and a way to make a difference and do work that matters to them. Jaffe: Positive organizational psychology sounds like psychobabble. What does it mean in real terms? Why shouldn’t a person go to a traditional therapist to face what’s holding them back? Deljou: Positive organizational psychology is the science of the strengths that enable us to thrive in our work and life. If we want to lead meaningful and fulfilling lives, one approach is to cultivate our natural talents to enhance our experiences. I always encourage clients to be clear about their needs so they can find the right professionals to support them and, in fact, many of my coaching clients do go to traditional therapists. Coaching is not meant to be a replacement for therapy and the goals are quite different. Jaffe: What’s the bottom line? Deljou: Women have to learn how to stop playing small, get out of their own way, and realize that what they want is possible. Coaching equips them with the mindset and tools to take ownership over their choices and make authentic decisions for themselves so that work becomes a source of joy.